An industry insurance group recently warned consumers that the driver electronic safety systems on their cars and trucks may not be as safe as they think they are. Tests show that some vehicles with electronic driver assist don’t always and reliably see stopped vehicles on the road. Additionally, one of these vehicles could even steer a driver into a crash if the driver isn’t paying full attention to the road and traffic conditions. This past August, the Insurance Institute for Highway Safety (IIHS) released the results of testing driver assistance features in both road and track conditions. For their report, they tested the 2017 BMW 5-series with “Driving Assistant Plus,” 2017 Mercedes-Benz E-Class with “Drive Pilot,” 2018 Tesla Model 3 and 2016 Model S with “Autopilot,” and 2018 Volvo S90 with “Pilot Assist.” All five of these models have automatic emergency braking systems rated “superior” by IIHS. 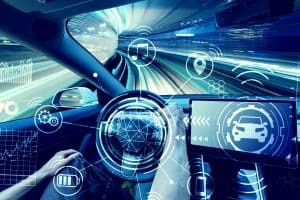 A quick summary of their findings – yes, electronic driver assist systems can certainly help prevent car accidents, but they can also fail under certain circumstances, and drivers need to be alert behind the wheel. The IIHS report highlighted several significant issues with the vehicles’ driver assist systems. First, they tested the cars’ driver assist programs with the adaptive cruise control turned off, and the automatic braking system turned on. On the track, all the cars were able to brake to both avoid a crash and hitting a stationary balloon – with the exception of both Tesla models. However, when adaptive cruise control was turned back on, the Teslas were able to brake earlier and more softly to avoid hitting the balloon. Another issue was reported during the road test. None of the cars tested responded to stopped vehicles on the road in front of them, with the exception of the Tesla Model 3. It’s also worth noting that all of these vehicles’ driver assist programs were rated “superior” in previous IIH performance tests. Further, several of the vehicles’ lane-centering systems – BMW, Tesla Model S, and Volvo – either worked improperly or even failed on curves or hills. They veered toward the center lane or went over it, requiring driver intervention. There’s also the fact of the fatal crash earlier this year in California, involving a Tesla Model X SUV. The vehicle crashed while its Autopilot feature was turned on, and, according to data from the wrecked car, the driver did not have his hands on the wheel at the time of the crash despite warnings from the system to do so. This tragedy highlights the fact that electronic safety systems have their limits, and that many drivers may not be using them properly. If you were hurt in a Nashville car accident that wasn’t your fault, the attorneys at the Rocky McElhaney Law Firm will help you seek compensation for your injuries. We fight for your rights and ensure the people who caused your accident are held responsible. Call our lawyers today at 615-246-5549 or use our contact form to schedule an appointment. We have offices in Nashville, Hendersonville, and Knoxville.